Internationalization and globalization offer unlimited growth opportunities. Since 2000, global per-capita exports have almost tripled. Even the current nationalistic trends are unlikely to stop globalization. They may slow it down for a few years, but the positive trend will continue. International business is usually associated with large corporations. This is true for most countries where we find an almost linear correlation between exports and the number of large firms. However, it’s not true for Germany, undoubtedly the most successful exporter among the larger countries. German per-capita exports are more than twice as high as those of France, the UK or Italy. In absolute terms, Germany exports more than France and the UK combined. The causes of this outstanding performance are not Germany’s large corporations but its mid-sized exporters, especially the “Hidden Champion”. A Hidden Champion is a company that is in its market one of the top three in the world or number one on its continent, but only mid-sized and little-known to the general public. I have identified more than 3000 Hidden Champions worldwide, and 1300 of them are from Germany. Only focus leads to world class. The Hidden Champions are highly focused on their technologies and markets. This is reflected by the motto of Uhlmann, the world market leader in packaging systems for the pharmaceutical industry: “We always had one customer and will only have one customer in the future: the pharmaceutical industry. We only do one thing, but we do it right.” Flexi, the global leader in retractable dog leashes, says: “We only focus on one thing, but we do it better than anyone else.” This focus is combined with a deep value chain. Wanzl, the global leader in airport luggage carts, says: “We produce all parts ourselves, based on the quality standards we define.” Faber-Castell, the global leader in pencils, even produce their own wood for the pencil manufacturing. They operate 100 square kilometers of plantations in Brazil. Focus makes a market small. How do the Hidden Champions make it big? By selling and marketing their products everywhere in the world. They do this through their own subsidiaries. Kärcher, the global leader in high-pressure water cleaners, has 107 subsidiaries in the world and intends to continue entering new countries until they are present in every country of the globe. Global leadership cannot be attained through imitation, only through innovation. The Hidden Champions are extremely effective innovators and spend twice as much as a normal company on research and development. As a result, they have five times more patents per employee than large corporations. In their innovation activities they integrate customer needs and technology very effectively. While some Hidden Champions have been founded on breakthrough innovations, most of their novelties are incremental improvements, the sum of which leads to superior products and higher value-to-customer. The biggest strength of the Hidden Champions is not technology but the closeness to their customers. 38 percent of the Hidden Champion employees have regular customer contact, compared to only 8 percent of the employees of large companies. This creates a completely different culture and, ultimately, higher value-to-customer. As a consequence, the prices for the Hidden Champions’ products are 10-15 percent higher than the market average. Despite this price premium they are the market leaders. The Hidden Champions do not have one but several competitive advantages. Of greatest relevance is product quality, but service, advice, systems integration, reliability are also superior to what the competitors offer. Over the last ten years, the biggest increase in importance was in advice, systems integrations and ease-of-use, attributes that become more critical as the products get more complex. The Hidden Champions have “more work than heads”. This means that they are a little short of people, which is an enormous productivity driver. They have high performance cultures. Their employees are highly qualified. People turnover is extremely low. Only 2.7 percent of the employees leave them per year. This is extremely low, even compared to the German average of 7.3 percent, which is much lower than in other countries. The Hidden Champions spend twice as much on vocational training as the average firm, and they have upgraded the percentage of college and university graduates from 10 to 20 percent over the last ten years. The leadership style is ambivalent, authoritarian in the principles but flexible and participative in the details of implementation. The chief executives come into power at a young age, usually in their 30s. Women play a more important role than in large corporations. The most significant difference is the continuity of leadership. The average tenure of the Hidden Champions CEOs is 20 years, compared to six years for large corporations. Nothing can replace entrepreneurial energy and ambitious goals. Poland has many young and inspired entrepreneurs. I suggest that these entrepreneurs set bigger goals for themselves and strive for European and even global market leadership. I know what I am talking about. When I founded Simon-Kucher & Partners we had the ambition to become the number one in our segment in the world. After 30 years, we have achieved this goal. Today Simon-Kucher the global leader in price consulting. Focus, focus, focus! Only focus leads to world class. I see quite a few Polish entrepreneurs who think they can be excellent in different fields. This is an illusion. You only have the chance to become the best if you concentrate your competencies and capabilities on one field. You should combine this with a deep value chain. Don’t outsource any core competencies, because they are the defining elements of your uniqueness and superiority. There are many things you cannot learn in Poland, only in more demanding foreign markets. This is again corroborated by my own experience. The first foreign market we entered was the US, not Austria or Switzerland. We were convinced that we would only make it in the world if we succeeded in the lion’s den of consulting, in America. Innovation is indispensable, but combine it with closeness-to-customer. The decisive factor is how well you fulfill your customers’ needs. This is not a purely technological matter. Closeness-to-customer will lead you to understand the requirements of your customers very deeply and enable you to adjust your products or services accordingly. Poland has a well-educated young generation; education and knowledge are not the bottleneck for Polish companies. The problems are application and internationalization. You need stamina and a long-term orientation. A quick initial public offering (IPO) is not the way to Hidden Championship. Stick to your knitting and don’t give up. It will take decades, not years or quarters. Again I can refer to my own experience. Simon-Kucher & Partners is now present in 24 countries, but this took us 30 years. And we still have a long way to go: The world has about 200 countries. My motto has always been Seneca’s: Per aspera ad astra – on rough roads to the stars. 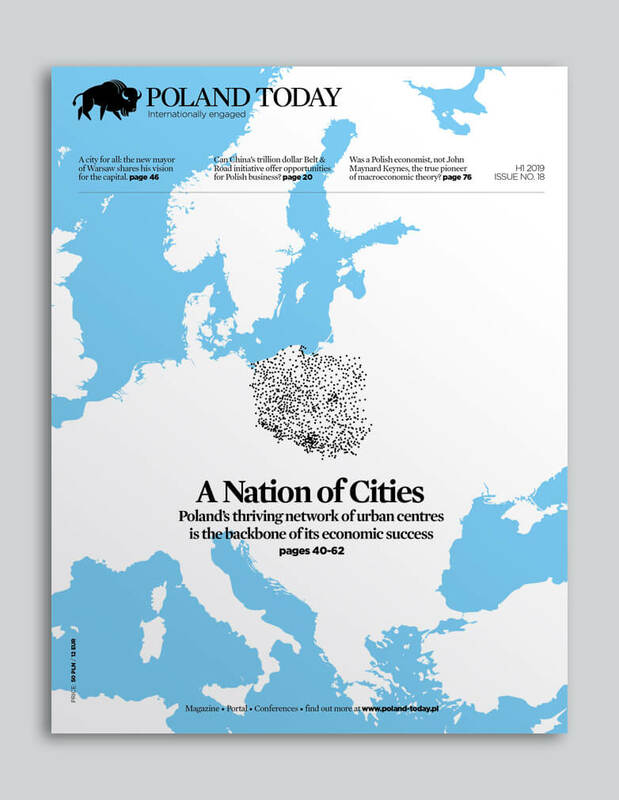 Poland should build its economic future on mid-sized companies of the Hidden Champion type. The country is unlikely to create many global Fortune 500 corporations but has a good chance to succeed in the mid-sized sector. There are thousands of markets where you can become the global leader. Prof. Dr. Dr. h.c. mult. Hermann Simon is founder and honorary chairman of Simon-Kucher & Partners, a global consultancy which operates 34 offices in 24 countries. His most recent book in Polish is “Pricing Man: Jak zarzadzanie cena moze odmienic biznes”.